He is a teenager who is very impressionable. These are the crucial years where every young man needs his dad. The years that having just a mother is not enough. During these years, the son watches every step his father takes. Good or bad, he is on it. We see this and more in Tariq St. Patrick. His dad had an affair, his mom lies to him about everything, and now his dad's worse enemy Kanan is suddenly his new father figure. Tariq's dad James believed he killed Kanan in a brawl that followed a warehouse fire. Instead, Kanan returned was nurtured by a few crooked cops and suddenly he found Tariq. Kanan presents himself as the cool uncle. He tells Tariq everything his parents will not. 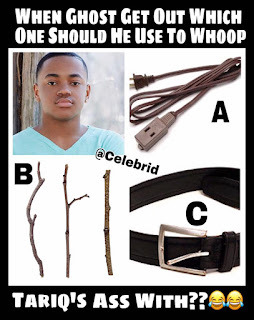 Tariq has been gifted with a better life than his father. He attends private schools and his parents have more money than he can count. 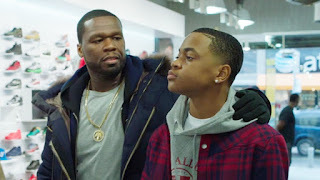 But Tariq does not see that he sees his dad leaving his mom to live with another woman, and now Kanan is trying to convince Tariq that his dad is guilty of killing Agent Knox. Jamie is behind bars and potentially facing the death penalty. What he does not know is that he is slowly losing his son. Jamie does not realize that Kanan is still alive. The night he was arrested, his wife, Tasha, received a picture message with Tariq sleep and an arm around him. She did not know it was Kanan, and luckily for her, Dre got Tariq to come back home. But the influence is still there. In the event of Jamie coming back home, his first priority needs to be rebuilding a relationship with his son. All he wants is the truth. The question is, will he get the truth from Jamie or will he get it from Kanan?